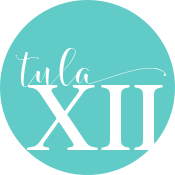 At Tula Xii, we want you to be completely satisfied with your purchase. If for any reason a product does not meet your expectations, please contact your Consultant within 14 days of your purchase date or within 14 days of the order shipment date by Tula Xii, whichever is later. For a refund request not due to our manufacturer’s defect (“Refund”), such as when you change your mind about a product and want a Refund on that product, we will not refund to you our standard delivery charges or any Direct Ship Fee, if applicable, that you paid on your original order. We will only refund the price you paid for the applicable product and any taxes directly assessed on that product, as shown on your original sales receipt. We will not issue a Refund on any taxes directly assessed to you on these delivery charges. We reserve our right to require you to first return the product to us at your expense before we issue you a Refund. We cannot issue Refunds on products that are not in good and resalable condition in their original packaging or that were otherwise designated by us as non-returnable, discontinued, or seasonal. If you do not have your original sales receipt, we reserve our right to refuse to honor your Product Exchange or Refund request. Upon further review by Tula Xii of your circumstances in these situations, and in our sole discretion if the conditions of this Return Policy are otherwise satisfied, we may provide you with a gift certificate in lieu of a Product Exchange or Refund. Gift certificates cannot be exchanged for cash, and Tula Xii is not responsible for lost or stolen gift certificates. If you return an item you purchased with a gift certificate from Tula Xii, we will place the applicable Refund back on the gift certificate (less any applicable delivery charges and taxes, if applicable) and in accordance with our Return Policy. If an item purchased as part of a Monthly Special is returned and the qualifying purchase amount is no longer met, you will then be charged the full retail price of the Monthly Special item. If you have any questions about product Returns, discrepancies, backordered items or anything else, please contact your Consultant or the Tula Xii directly. Your Consultant’s information is included on your Hostess Summary and Guest Order Summary. For a replacement item request due to our manufacturer’s defect (“Replacement Item”) or a Missing Item request, we will not assess any additional delivery charges to you when we ship the Replacement Item or Missing Item to the original address on your order. Additional charges may apply if you request a different shipping address from your original order. In some cases, we will need the item back and we will send a label via email for the return shipment. For a product exchange request not due to our manufacturer’s defect (“Product Exchange”), such as when you change your mind about a product you ordered and want a different item, we reserve our right to require you to return the original product to us at your expense. We will also charge you the shipping for the product when we send the Product Exchange to you in addition to the standard delivery charges we assess on your order, if applicable. Taxes on these delivery charges may also apply. We cannot issue Product Exchanges for products that are not in good and resalable condition in their original packaging or that were otherwise designated by us as non-returnable, discontinued, or seasonal. You may cancel this transaction, without penalty or obligation, within THREE BUSINESS DAYS (five business days for Alaska residents; fifteen days for North Dakota residents; sixty-five years or older for purchases over fifty dollars) from the date of this transaction. If you cancel, you must make available to the seller at your residence, in substantially as good condition as when received, any goods delivered to you under this contract or sale, or you may, if you wish, comply with the instructions of the seller regarding the return shipment of the goods at the seller’s expense and risk. If you do make the goods available to the seller and the seller does not pick them up within 20 days of the date of your Notice of Cancellation, you may retain or dispose of the goods without any further obligation. If you fail to make the goods available to the seller, or if you agree to return the goods to the seller and fail to do so, then you remain liable for performance of all obligations under the contract. To cancel this transaction you must contact your Brand Ambassador within 3 business days. Tula Xii (“us”, “we”, or “our”) operates the http://www.tulaxii.com website (the “Service”). ● Session Cookies.​ We use Session Cookies to operate our Service. ● Preference Cookies.​ We use Preference Cookies to remember your preferences and various settings. ● Security Cookies.​ We use Security Cookies for security purposes.